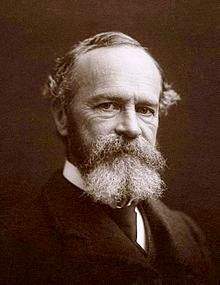 William James was born in New York City, New York, on January 11, 1842. Raised in a highly intellectual family, he was the son of Henry James Sr., a Swedenborgian theologian, and brother of Henry James, the well-known novelist. 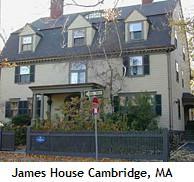 James graduated from Harvard in medicine, but later became a professor of psychology and philosophy. Along with Charles Sanders Peirce and John Dewey, William James was one of the pioneers of the philosophical movement known as pragmatism - encapsulated by the maxim "there can be no difference anywhere that doesn't make a difference elsewhere." In considering the various philosophical concepts, and in contrasting them with pragmatism, James found of empiricism that it emphasized too much the elements and origin of experience. Nor, did it deal with the importance of how these elements or sensory data relate to, and are used to predict future experience. "Pragmatism asks its usual question. 'Grant an idea or belief to be true,' it says, 'what concrete difference will its being true make in anyone's actual life? How will the truth be realized? What experiences will be different from those which would obtain if the belief were false? 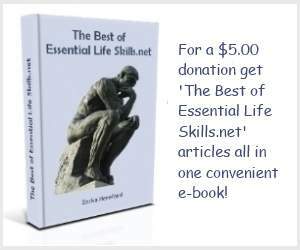 What, in short, is the truth's cash value in experiential terms?" These words give us an idea of James' views on religion, which he elaborates upon in his most famous works The Will to Believe and The Varieties of Religious Experience. In The Will to Believe , James argues that it is legitimate to believe in God even if the evidence for doing so is inconclusive. He uses this as an example: Suppose you are climbing a mountain and to return home safely you must jump over a wide chasm, but your chances of making it are not strong. In order to succeed you must feel confident, otherwise, if you hesitate all may be lost. So, despite not being quite justified in thinking that you will make it safely across, it is prudent for you to believe it, especially since doing so will make it more likely that you will succeed. We must be faced with a choice between options that are live. A live option is one that is legitimately possible and can be taken seriously. Believing in the green spaghetti monster would not qualify, however, believing in God or in the existence of life on other planets are genuine possibilities. The choice must be forced, one where you have no option but to make the choice. A forced choice is where there is no neutral or middle ground; for example the choice to either eat fish for dinner, or not. The choice must be momentous, one that will have major impact of your life such as whether you choose to get married, or not. All three of these conditions are met in the mountain climbing example. The choice is between live options; it is forced - you must either believe, or fail to believe, and the consequences are momentous. For James, there is nothing wrong with letting your passional nature lead you to believe under such circumstances. Similarly, according to James, we face such a choice when it comes to religious beliefs. The choice between believing and not believing is forced. It is also momentous because the type of life you lead will depend on your choice. Consistent with his pragmatism, James does not attempt any rationalistic proof of the existence of God. He accepts that there is no empirical evidence on the matter one way, or another, however there are good reasons both empirical and pragmatic that justify the 'will to believe.' In line with both, we should consider what difference choosing to believe will have on our lives compared to not believing. 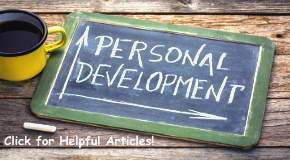 Since a life of religious belief is generally positive, character building and strengthens one's purpose, it does indeed have a pragmatic effect in making our lives better than if we do not believe. For William James belief was an individual process with the consequences of that believing being most important. He felt that we might rationally choose to believe even though some crucial propositions lie beyond the reach of reason and empirical evidence. Ultimately, if an idea works, or makes a difference in an individual's life, it has meaning, according to James. Truth, for him is not fixed, absolute, or independent of human cognition, but is created by human activity. For him, truth and goodness are closely connected. What is true turns out to be what is good. James' greatest concern was a moral one and it is with this in mind that he endeavored to establish a philosophical method for living well.